Particular consideration is given to these vehicles as they don't tend to last as long as private use vehicles. With this in mind, the covers offered can be different. The insurance cover can also consider the impact of the vehicle being off the road and include benefits that cover many of these concerns. You rely on your vehicle being available and in most instances, your vehicle is your business. Can you confidently know that if your vehicle was stolen or involved in an accident, that you would survive financially? Will the pay out in the event of a 'Total Loss' cover the finance you have on the vehicle? How will you get your tools of trade to the next construction job and worse, what if your tools were still on the vehicle when it was stolen? Your serious about the work you do for others so get serious about insurance for your assets. Contact us today for a review and we'll confirm if you have the most appropriate cover for your requirements. For those businesses that have a fleet of vehicles or trucks, managing those coming and going can be a full time task itself. It's also important that the majority if not all stay on the road. 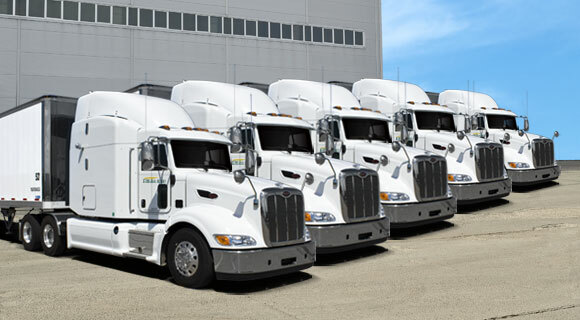 We have the experience to assist in managing your fleet requirements. With specific policy amendments, we take the stress out of adding and deleting units. We also address the automatic inclusion of vehicle accessories fitted to purpose use vehicles. Quick recovery and quick repair helps to keep your vehicles on the road. Options such as hire vehicles or down time cover help reduce the financial impact to your bottom line when a unit is either off the road following an accident or pending replacement following theft. Knowing the importance that the vehicle or truck has for your business is only part of the equation. Understanding how they impact on your business financials when not in use is also vitally important. Don't send your business broke with inappropriate cover or accept poor advice from someone who doesn't understand how important your vehicles are to your business. Truck insurance is similar to Commercial Motor Insurance although, additional attention is given to what is being transported; how often; what distance and who for. There is often a lot of responsibility implied to others when driving trucks or towing trailers. Your liability to others is a major importance. Not only do you want to protect your own asset, you will want to protect your liability to others. Have you been made aware of the variety of covers that usually support your Truck insurance? Do you need to insure the trailers of others or the load that you carry for others? What's the danger with the load? If you're not certain of the answer to any of these questions, you should contact us today to find out why they are important. Looking at these questions could make your life a lot less stressed in the event of a claim. Use our contact form and get us to review what you have now and how this can be improved.